It was a great two weeks! I am exhasted! I have really come to love Arizona. I feel as though at some point in my life I have lived there. I have only ever lived in one state but find it very entertaining that I can get in a car in Phoenix and get to just about anywhere with out any problem! I have met so many wonderful people there and feel very at home. We got there on Sunday morning. It must have been quite a sight! Feeding pump, diaper bag, laptop, car seat, oh and don’t forget Makenzie! I’m not quite sure how I did it but I made from the gate to the baggage claim in record time! My good friend Michelle came to pick us up and we all headed back to the Ronald Macdonald House. When we left home Makenzie wasn’t feeling great so I gave her so medicine before we left and she seemed to be ok. We headed to SIRRI on Monday morning after a very long night of snot, coughing, vomit, and some very tense moments due to the body fluids in Makenzie’s upper airway. We made it through one and a half treatments and Makenzie couldn’t take any more! I called her doctor and he asked us to go and be seen. We found a Ped’s office in South Phoenix and took her there on Monday night around 7 pm. They were very quick. They took her vitals and some cultures and we were out the door with a script for the Flu and Strep by 8 pm! Needless to say Makenzie and I took Tuesday off from SIRRI and she slept almost ALL day! 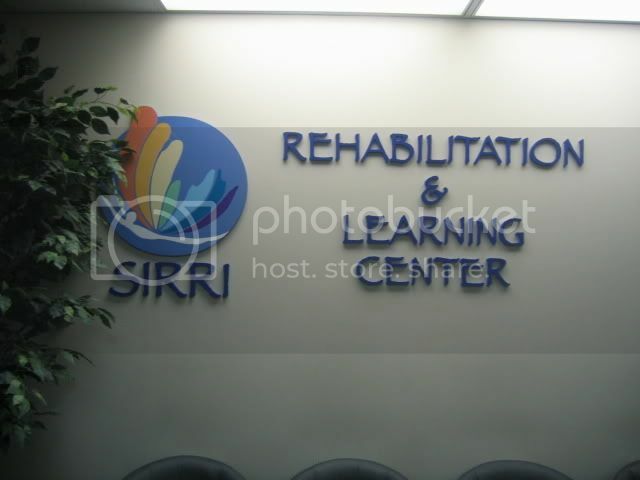 By Wednsday she was feeling much better and so we continued our treatment at SIRRI. Though out the 12 days of treatment we had 2 sensory appointments a day and fit in 3 OT appointments a week. We also managed to have some fun in between! We went to the park, the Rainforest Cafe, the Mall, a spring training game with the Angels and the Cubs, and visited with a few friends we have met along the way! 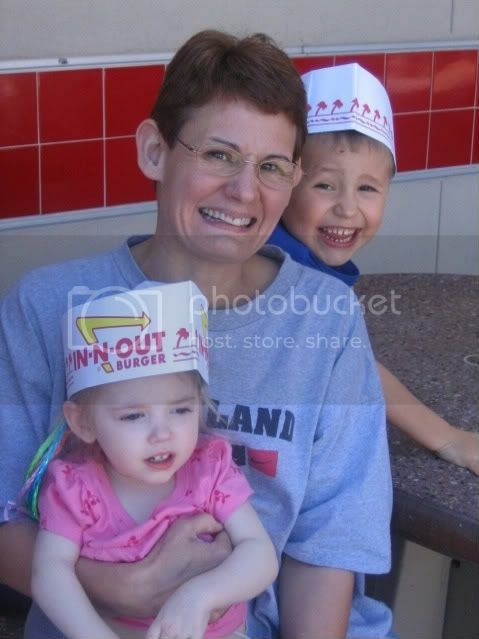 Last Friday we went to see a very renowned Doctor in Phoenix and consulted with her for about 2 hours! I was talking to her on Thursday during Michelle’s appointment and she agreed to see us the next day! Mechelle was very suprised that she got us in! Her next new patient consult was not until JUNE! I will go more into what we are going to do with this new doctor as it starts to unfold but I am very excited about some of the stuff she had to say! We drew some blood and she sent us home with a few more labs to complete and we will follow up with her over the phone in about 3 weeks! Treatment at SIRRI ended on Friday afternoon and we saw some great stuff. Makenzie was much calmer and played on the floor by herself for much longer periods of time! She did a LOT of rolling and talking! SIRRI is also one of thoughs treatments that take some time for the brain to process. We should see results of this treatment for the next 3-6 months! I have so much to say but have to get going. I will try to continue to post more details over the next few days as it all comes back to me! 14 days is a lot to put in one post! 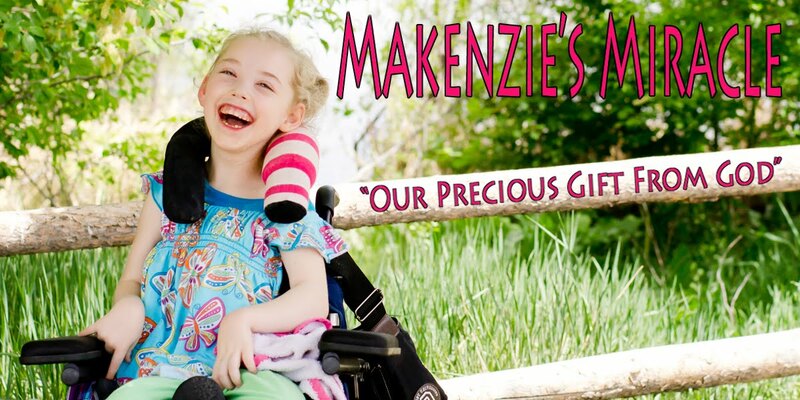 Please keep praying for Makenzie! She has come so far! Prayer Works! BELIEVE!